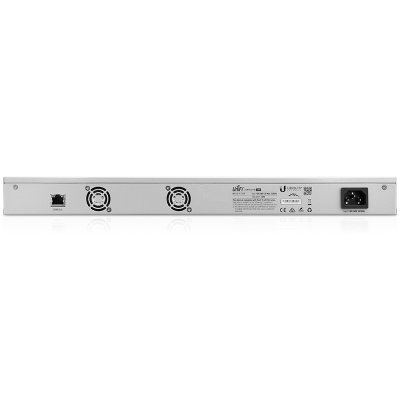 The Ubiquiti UniFi® Switch 16-150W ia s 16 Port Gigabit Switch with 16 PoE Ports. Each of the 16 Ports support 802.3af/at PoE/PoE+ and 24V passive PoE. There are also 2 x Gigabit SPF ports. 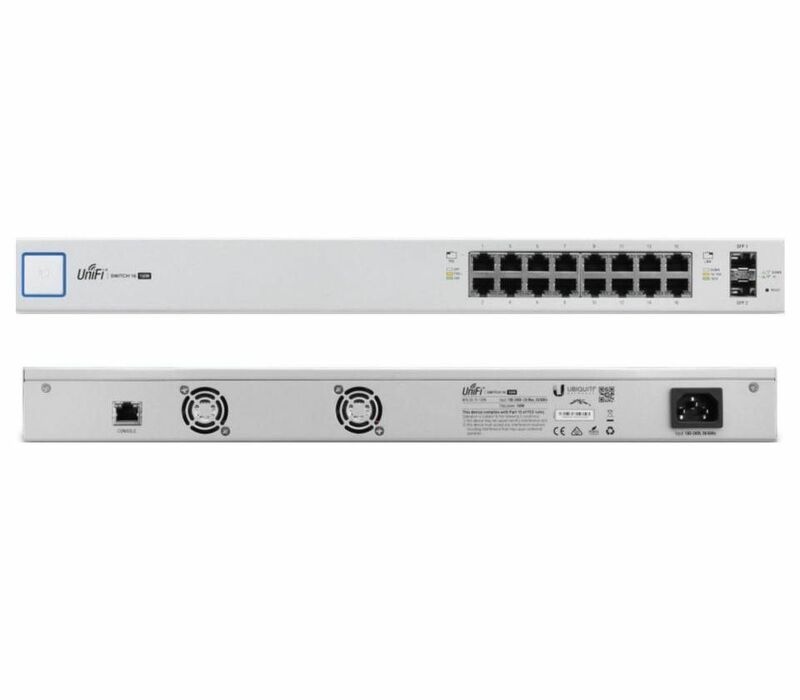 The UniFi® Switch 16-150W supports 802.1X authentication, dynamic and static VLAN tagging, port isolation, storm control, and guest control. 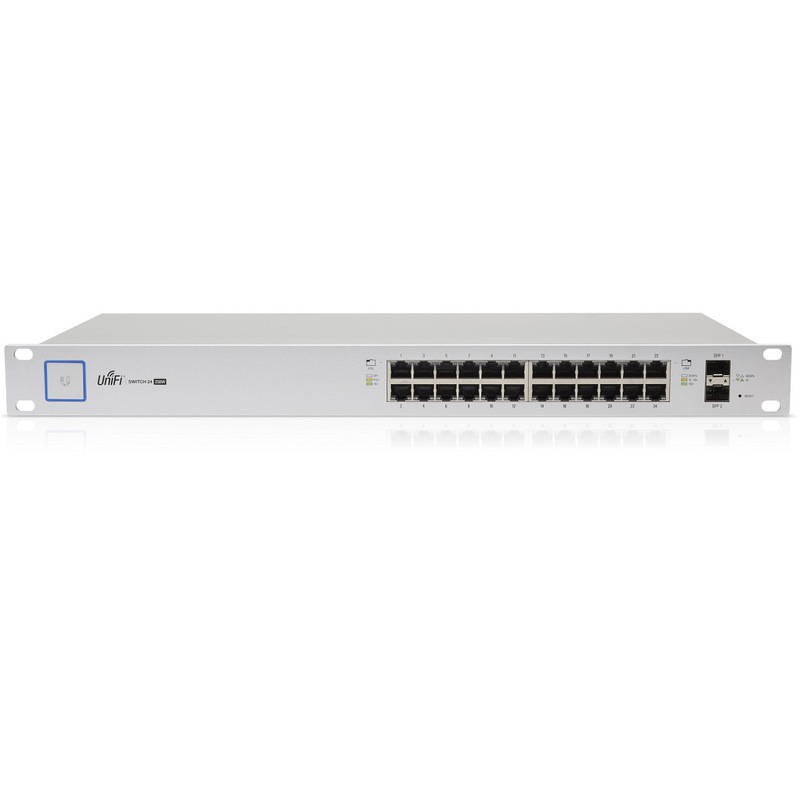 UniFi® Switch 16-150W has in internal power supply supporting 100-240VAC/50-60 Hz, Universal Input.